Some cats don’t like to travel. They tend to get stressed. Cats like routine, they like their home turf, and they despise change. Cats like routine, they like their home turf, and despise change. And even though many cats have no issues with traveling, some feel anxious and due to stress meow, drool and pant during the trip. For this reason alone, they require more care. According to some veterinarians, sedation is a viable option in these cases. Sleeping pills, benzodiazepines, and diphenhydramine are some of the things you can use to sedate your cat during travel, but veterinarians recommend you use sedatives as a last resort because altering their mentation or mental state can be harmful. If you’re planning a car trip, you can make your car a less scary place for your cat. Cats like to hide in confined, dark places when they’re nervous and/or scared. These kinds of places make them feel like they are safe if no one can see them. Placing a thin, dark piece of cloth over the carrier can help your cat feel safe and hidden during the trip. It’s very important to use a thin cover cloth, because cat’s respiratory rate skyrockets when she is scared or nervous, in turn, the temperature inside the carrier increases. You can also take your cat for short practice rides in the carrier. Even a short drive around the block can be beneficial. Don’t forget to reward your cat when you return home. The idea behind these practices is to get your feline friend to associate being in the carrier and in your car with something other than a trip to the vet. Unfortunately, this doesn’t work with all the cats. If your cat is still frightened and anxious after many experimental car rides, only then you can start thinking about sedating your cat. We recommend you visit your vet before administering your cat any sedatives, since they can cause serious health risks to your cat if not administered properly. Like for humans, there are sleeping pills for cats. Veterinarians often give sleeping pills to cats before performing surgery because of the pills sedative effect on the cat. Sleeping pills for cats are available in many pet stores and even on the internet market where you don’t need any prescription. It isn’t recommended to buy the pills on your own, because of their possible negative side effects. Choosing some random pills on the internet and giving them to your cat can worsen the cats traveling sickness. Do not ever give your cat sleeping pills made for humans. Some people will tell you that giving sleeping pills for humans in a small dosage to your cat is ok, but it is not. Every dosage could be harmful to your cat and even lethal in some cases. Cats sleeping cycles are very different from human sleeping cycles, so giving human sleeping pills to your cat could disturb your cats’ natural sleeping cycle. Cat parents consider giving sleeping pills to their cat as a last resort when it comes to traveling with them. If you are one of them, it would be wise to consult with your veterinarian before buying any pills. Because veterinarians have experience in giving cats sleeping pills, they will prescribe your cat the safest pills, so you don’t have to worry about some negative side effects. Even with a veterinarian’s prescription, it is not highly recommended to give your cat sleeping pills. Consider giving sleeping pills to your cat just in desperate situations when there is no other method left to calm your cat. So, what are cat sedatives? Cat sedatives help your feline friend sleep or keep him calm during a long ride or flight. Sedatives are a highly effective way to keep your cat calm while traveling. While some feline sedatives are specially designed for them, others contain the same active ingredients that are in anti-anxiety meds for humans. Let’s go over each one of them and see how they affect your kitty. Benzodiazepines are a class of drugs that are used in both human and animal medicine as sedatives. They are also used as effective anti-anxiety and muscle relaxant medications. So how do benzodiazepines work? This drug works by increasing the release and facilitation of neurotransmitter gamma-aminobutyric acid (also known as GABA) activity. 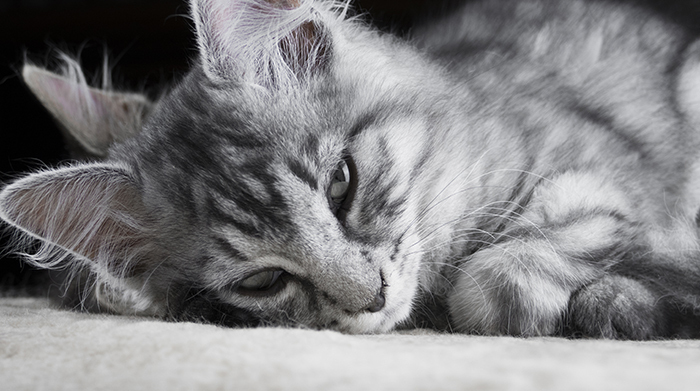 The increased levels of GABA help keep your kitty relaxed and a bit sleepy. The drug takes effect after it is administered. Due to cats’ small size, the dosage is much smaller than what would humans use. Be sure to check with your vet if it’s okay to administer this drug to your cat. If your cat is suffering from a kidney or a liver disease she won’t be able to receive this medication. This is also true if your kitty is pregnant. One last thing you should keep in mind is that benzodiazepines are only available by prescription. Also, this drug can have some nasty side effects like aggression, agitation, nausea, vomiting and even respiratory depression. So, to really nail this one in the head, we recommend you first check with your vet if it’s okay for your cat to take this drug before traveling and be sure to keep your eyes open for any harmful side-effects. The side-effects are not deadly, but they will surely scare both you and your feline friend. Diphenhydramine is an over the counter drug whose active ingredient is Benadryl. It is safe for most cats, but the dosage as a sedative is much lower than the dose that is usually administered to humans. Veterinarians often recommend diphenhydramine to owners that have cats that suffer from travel anxiety. This drug has sedative effects that can help your cat feel relaxed, it also used for treating motion sickness in cats. When it comes to the dosage, a typical dose consists of 0.5 milligrams per pound every eight to twelve hours. We advise that you first consult with your veterinarian about what would a correct dosage be for your cat and how to best administer it. If your cat is suffering from glaucoma, high blood pressure, difficulty urinating, or prostate problems you should not administer her Diphenhydramine. If your kitty is pregnant or nursing, avoid giving her this drug because it can transfer through the placenta and milk. If your veterinarian approves of administering this drug to your kitty, it’s recommended that you start 24 hours before the trip in order for the drug to take effect. While traveling we recommend you place some familiar items inside the carrier to make the journey as comfortable as possible for your feline companion. We recommend you put a blanked with your scent along with a few of her favorite toys. Since there is a chance of your cat being a bit scared while sedated, what you can do is talk to her in a soothing voice and let her smell you by placing your hand inside the carrier. In addition to this, you can place the carrier next to a window so your kitty can have a look outside. Chlorpheniramine is an over the counter medicine that is used for the treatment of common cold and allergies in humans. When it comes to cats, it’s used for preventing the symptoms of allergy. It is also used for managing cats that groom themselves too much. While this drug is primarily used for treating allergy symptoms, its most common side effects is drowsiness. This makes it perfect for sedating your cat for the duration of the trip. Using chlorpheniramine may not be the most effective way of keeping your cat relaxed during the trip, it is far easier to get a hold of it because it doesn’t require a prescription. Even though you don’t need a prescription to buy chlorpheniramine we recommend you consult with your veterinarian about administering this drug to your cat because it can negatively interact with other drugs your cat is on. When it comes to the dosage, the most common dose is 1 to 2 milligrams per cat every 8 to 12 hours. The drug takes effect a couple of hours after administration, so we recommend you plan your trip thoroughly so the drug can kick in at the right moment. Chlorpheniramine comes both in liquid and pill form. This is great because cats really despise the taste of this drug. If you’re going to use it in pill form, we recommend you hide the pill inside a tasty peace of salmon or use pill pouches. And if you’re going to use it in liquid form, we recommend you mix it with a small amount of canned food and feed her by hand to make sure your kitty swallows the full dose. Gabapentin is a fairly inexpensive drug that was originally developed to treat seizures in humans. Other uses include treating neuropathic pain in humans, dogs, and cats. While gabapentin is not labeled as an anti-anxiety drug, it is increasingly being used as such in both human and veterinary medicine. The great thing about this drug is that it doesn’t have a strong taste which means the kitty might not realize she’s taking any medication when you mix in with food. The dosage of gabapentin varies from cat to cat. If the cat is small, older or sick the prescribed dosage is around 65 milligrams. For bigger cats the dosage is around 85 milligrams. You should administer the drug 2 hours before the trip to ensure the drug will take effect. The effect of sedation is pretty strong and holds up to 8 hours, making this drug an excellent option if the trip is going to be very long. Since using gabapentin to treat anxiety in cats is a recent trend and there weren’t many studies done on it, we recommend you consult with your veterinarian about using it. Also, be sure to watch out for any side effects which include vomiting ataxia, vomiting and increased salivation. None of these side effects are deadly, but it’s best that you know what you might be getting into. Clonidine belongs to a class of drugs known as central alpha 2 adrenergic agonists. In other words, Clonidine is a sedative that is also used for providing pain relief and a muscle relaxant to both cats and dogs. This drug works by stimulating alpha-adrenoreceptors in the brain that impacts the central nervous system, blood vessels, heart rate and blood pressure. This drug is only available by prescription, so you will have to consult with your veterinarian about getting one. The drug has fairly a mild effect so you don’t have to worry about your kitty being completely out of herself. The dosage depends on your cats’ weight, ranging from 0.05 milligrams for smaller cats up to 0.1 milligrams for big cats. It takes up to 3 hours for the drug to take effect, so we recommend you administer it a few hours before you start your trip. SARIs, or serotonin antagonist and reuptake inhibitors, are commonly used to treat anxiety disorders in cats and dogs. One such drug is Tarzodone. In the past couple of years, this drug has also been started to be used as a way to sedate cats before stressful veterinary visits and exams. This also makes it a great drug for sedating you cat on a long trip. We can’t stress this enough, but if you decide to use Tarzodone to sedate your cat for the duration of the trip you MUST consult with your veterinarian. Even though this drug is fairly safe if your cat has a heath condition this drug can cause cardiac arrest. Tarzodone starts to take effect fairly quickly, in less than an hour. Dosage varies on the weight of the cat. For smaller cats the dosage is around 10 milligrams, going up to 30 milligrams for bigger cats. It takes up to twelve hours for the drug to completely dissipate, making this sedative an excellent option if you’re going on along car or plane ride. Like we said before, sleeping sedating your cat for travel should be your last resort. Using sedatives only makes sense if your furry friend suffers from high travel anxiety or travel sickness. If your kitty only gets a bit restless while traveling you can try out some less “synthetic” options. The first option you can try is pet calming collars. These collars release natural cat hormones that help your kitty feel safe and relaxed. The second option you can try out are herbs that have calming effects. Both options are equally effective, we will go over both of them so you can better understand them and make up your mind. Calming collars are specially designed for cats and kittens who tend to be scared, stressed and anxious in some situations like traveling, veterinarian visits, visitors coming by, etc. Calming collars are a new innovative solution to help modify stress-related behavior in cats using good behavior pheromone technology. This technology emits the pheromone that the mother cat produces to calm and reassure her kittens. Calming collars also have ingredients like lavender and chamomile which provides a shooting fragrance. The collar work to mimic the natural way to help cats deal with fearful and stressful situations. Applying the collar is pretty easy: place the collar around your cat’s neck adjusting it to fit around the neck comfortably, leave 2 to 3 inches for extra adjustment and after the calming collar is places cut off the excess portion of the collar. When you first apply the calming collar around the neck of your furry friend, a white powder will release from the collar. This powder will activate and will free the pheromones. You should wash your hands after placing the calming collar around your cat’s neck. The calming collar should be removed before you are shampooing or bathing your cat and if you want to apply it again later seal the collar in a plastic bag in order to prolong the calming collars effect. Do not use the collar if your cat has extensive skin lesions because the powder in the collar could then be harmful to your cat. When the collar is placed on your cat’s neck look after how your cat behaves. The calming collars should be safe for use, but if you see your cat behaving strangely, remove the calming collar immediately in order to avoid any negative effects. Some cats like to save their frustration for car trips and medical exams. If your cat tends to be like this, and you’re wondering what you can do about it, you can try out some of the following herbs and flower essences. It is generally known that catnip gives your cat an insane energy boost. 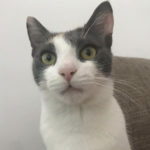 So, you might ask yourself: “Why would I give something to my cat that will rile her up even more?” Well, that’s an excellent question! The trick is to give her some catnip fifteen minutes before the trip. After your feline friend is done running around and hanging from the ceiling, she will be as calm as a lake. 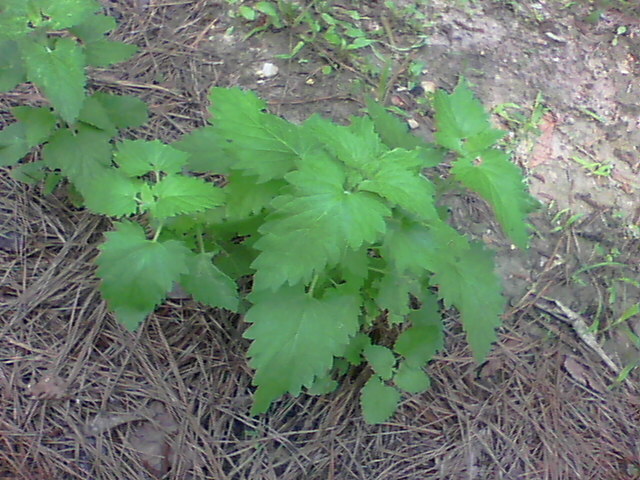 Valerian comes from the same herb family as catnip. They are so closely related that people often mistake it for catnip. Valerian has the same effect on your cat as catnip, but with one interesting trip. After the initial crazy-fest, not only will she be calm, she will also fall soundly asleep. 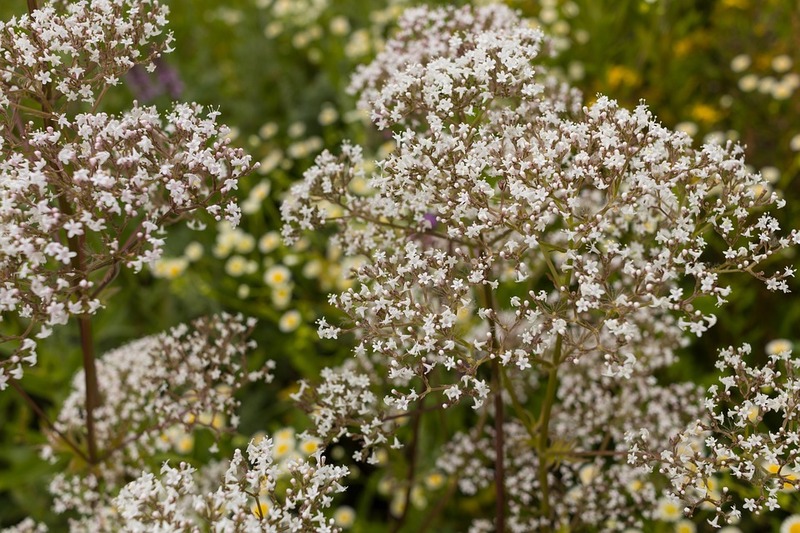 This herb is also commonly used for treating insomnia in humans, so you can also use it if you’re having trouble sleeping. How many times did you drink a cup of hot chamomile tea to relax a bit before going to bed? You’d be surprised to know that this herb has the same effect on cats too. The only difference between humans and cats is that instead of giving your cat chamomile tea, you should expose her to the dried flowers. 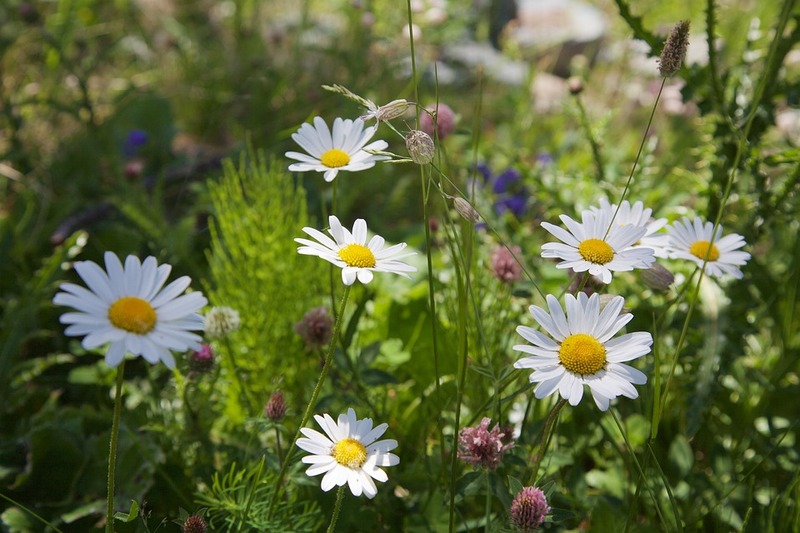 Studies have shown that chamomile contains substances that act on the same parts of the brain as anti-anxiety drugs do. A long running joke amongst cat owners is that cats crack open a beer as soon as they leave the house. We don’t recommend that you give your cat-friend a sip of Bud Light before traveling, but we do recommend you give her some dried hops flowers. 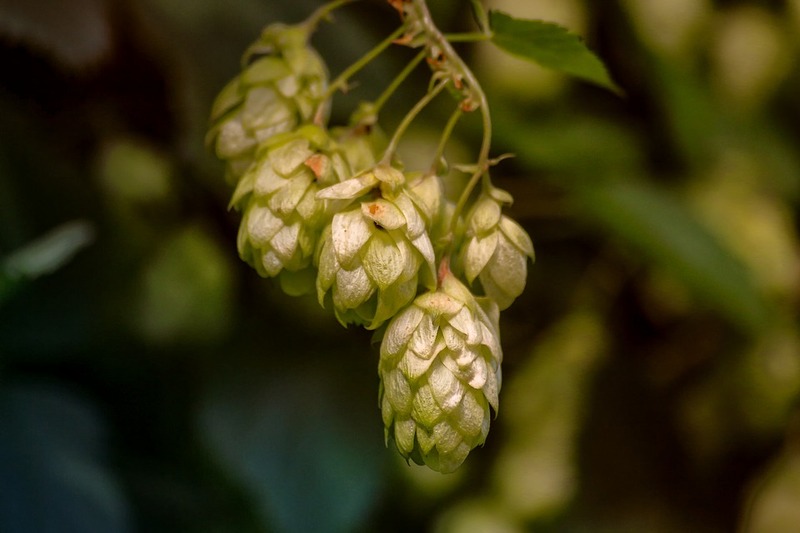 Hops have shown to be as effective as chamomile in calming your kitties’ nerves. 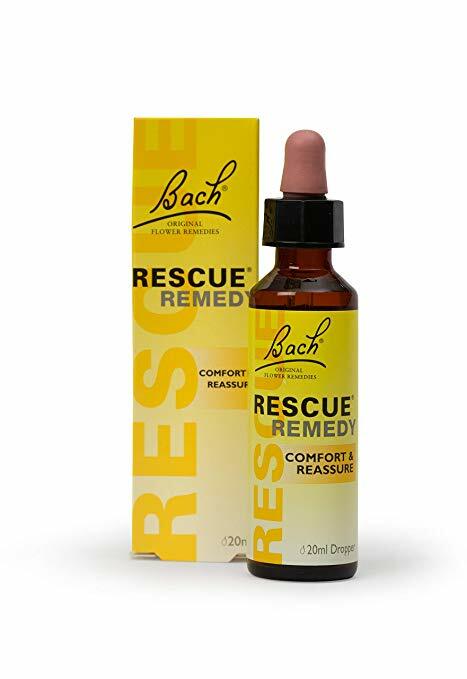 While Bach Rescue Remedy is not technically an herb, it has amazing calming effects on both cats and dogs. The best thing about this remedy are its almost instantaneous effects, making it an excellent option if you need to calm your cat in minutes. You can rest assured your cat will be calm and relaxed during the whole trip, just be sure to get the alcohol-free version. Calming herbs come in a wide range of forms like tinctures, dried flowers or essential oils. Out of all these forms, the only one you should be looking at is the dried leaf/flower form because essential oils and tinctures contain alcohol which is toxic to cats. The best way to administer the herbs to your cat-friend is by putting it inside of a tube collar or make a tiny pillow toy with herbs inside. Your cat will benefit from the relaxing properties of the herbs while being safe from over-ingesting them. If your kitty really doesn’t like traveling, its best you leave her at home. This might be hard for both of you, but you will save both your own and your cats nerves and sanity. 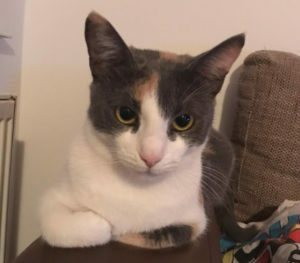 However, if you’re really keen on taking your cat with you, it’s best that you first consult with your veterinarian on how to best keep your furry friend calm and relaxed. The most effective way of calming your cat is administering her sedatives, but those come with their own set of complications. Alternatively, you can try using herbs, but those might not have the long-lasting effects of conventional sedatives. At the end of the day, it’s up to you to decide which option is best for your cat.